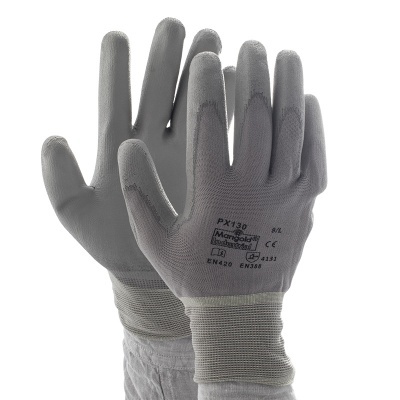 If your work involves handling small or fine parts, it's important that your gloves are comfortable and breathable to reduce hand fatigue and enable precision handling for extended periods. 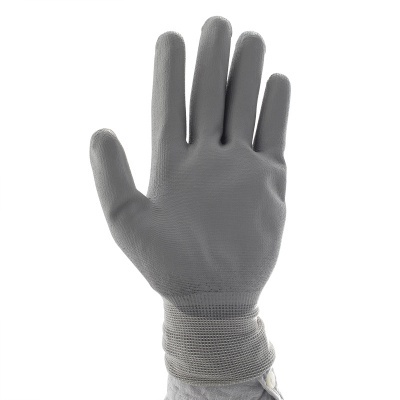 The Marigold Industrial PX130 Lightweight Multi-Purpose Work Gloves are designed to provide superb fit and feel with a lightweight, stretchable nylon liner. Comfort is maximised with a ventilated back, while a polyurethane-coated palm supplies superior abrasion resistance and grip. 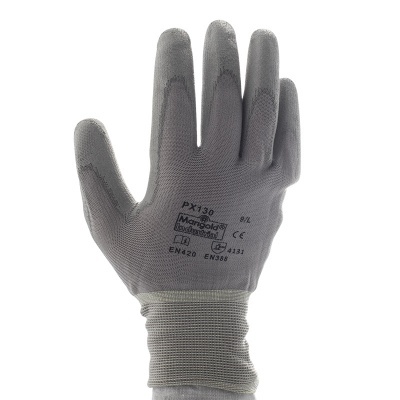 The PX130 are designated Category II gloves, meaning they are suitable for medium-duty applications and intermediate levels of risk. 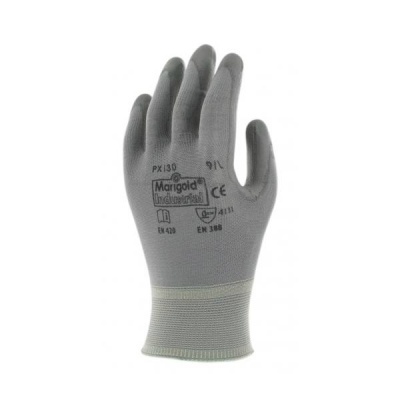 The Marigold Industrial PX130 are supplied in five different sizes, meaning they should be suitable for most users. Please measure the circumference of your hand around the knuckles (excluding the thumb) with your hand open and your fingers together, and the length of your hand from the tip of your middle finger to your wrist.